Greeted at Juliana’s airport then transferred to Puno. On the way to the hotel, you will visit the mysterious pre-Inca ruins called chullpas (funerary towers) pre-Hispanic cemetery that belonged to the manors of the Lupaca and Colla. These architectural structures are carved from volcanic stone, some reaching 12 meters in height measure (40 feet). Overnight. 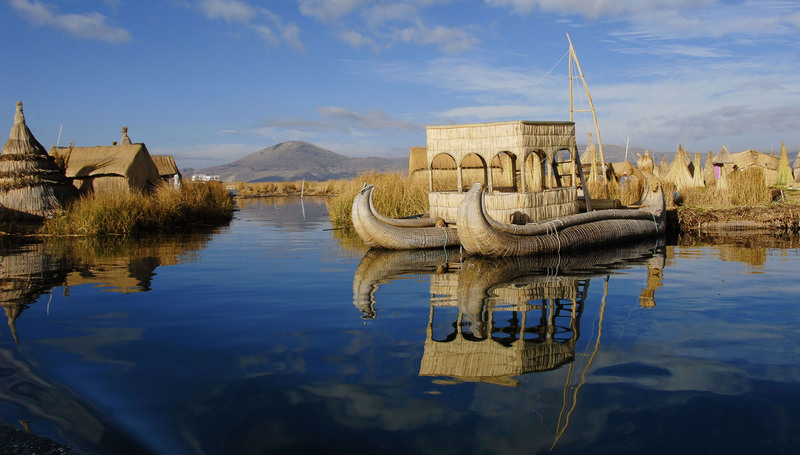 Excursion to the Inca’s Sacred Lake, visit to the Uros Floating Island, which is a set of 20 islands formed on the basis of the Totora (aquatic plant), we will see that it’s people still retain their ancient customs such as fishing and hunting. We continue our journey to the Amantani Island, coming to this you will be welcomed by the natives, who place us in their homes, with family assignment, and we will share their food and habits for time of our stay. PM: There will be a journey to explore the island, visiting the shrines (Pachatata, on return we will share a dinner with a family where they display their costumes and dances. Overnight at the houses of the natives. Departure by boat to Taquile Island, where we will have a tour to explore the island. PM: After lunch return to Puno. Overnight at the hotel. At the schedule time you will transfer to the airport or bus station to continue their journey. •	ALL GUIDED VISITS ARE WITH ENGLISH SPEAKING TOUR GUIDES. •	ALL ENTRANCE FEES ARE INCLUDED. •	PASSENGERS MUST SUBMIT THEIR ANDEAN MIGRATION CARD AND PASSPORT AT THE HOTELS FOR THE CHECK IN. •	EXTRAS PAYABLE BY PASSENGERS.